Amerisleep as a mattress brand has a huge repertoire of memory foam mattresses, that they claim are all made with the highest quality materials using top-notch construction techniques. A long-time industry player, they have a reputation of providing mattresses at an affordable price without a complementary compromise on quality. Height 13" 12" 12" 10" 14"
Discounts $50 off and any other seasonal offers. $50 off and any other seasonal offers. $50 off and any other seasonal offers. $50 off and any other seasonal offers. $50 off and any other seasonal offers. Making up the Amerisleep line-up, are five unique mattresses and unlike other brands that claim to have that single product that encompasses all sleeping needs, they argue that each mattress is tailored to cater for a particular sleeper category. Celliant Based Cover: According to Amerisleep, this cover has the ability to trap and convert body heat into infrared light that they seem to think is beneficial to our skin. They purportedly claim that this patented technology which houses a composite mix of Aluminium oxide and silicon improves the sleeping experience by increasing blood flow, cell oxygenation and regulating body temperature. Eco-Friendly Memory Foam: Amerisleep calls their in-house memory foam ‘bio-pur’ with the bio in the nomenclature indicating that unlike the memory foam found in most other competitor brands which make use of 100% petroleum products, theirs uses a greener product in the manufacturing process. For us at mattress reviews this is innovation, and we are 100% pro-innovation. Responsive Memory foam:It is customary for memory foams in their quest to attain a configuration that perfectly contours around your body to lose their bounce and responsiveness, with the only memory foam prior to this review to have had a significant level of bounce being the purple foam (technically the purple foam isn’t even a memory foam). Given this backdrop, it only seems natural that we were excited by the level of bounce and responsive that we recorded in all models of Amerisleep mattresses. Fireguard tech:In line with their quest to greenify the mattress making process, Amerisleep has once again deviated from the industry standard of using a chemical based fire retardant and have incorporated an ingeniously crafted fire sock made of Sand(silica) and Rayon. Rayon is a synthetic fibre that is processed from wood pulp. 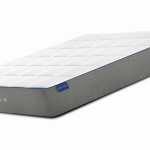 How firm are Amerisleep’s mattresses? Well, that depends on the type of Amerisleep mattress you decide to purchase. Like I mentioned earlier, instead of producing one mattress type and trying to sell it to all consumers under the tag of universal, Amerisleep has taken a step further and deviated from this industry trend and are offering five unique products that are tailored to meet the specifications of a particular set of sleepers. On a scale of 1-10 this with 1 being the softest, and 10 being the hardest this particular model from Amerisleep seats comfortably at 6. So if you are a lightweight average sleeper, then this is the mattress you should be looking to purchase. However, being this soft means that users are bound to experience a significant level of sinking when they use this mattress; that is not to say that the liberty mattress was anything short of comfortable. If you are lightweight, it’s possible that you wouldn’t even notice this sinkage, as the Liberty mattress does an excellent job of cushioning and spreading out your weight. Our tests indicated that motion transfer although present was very minimal, with the medium density foams found in the mattress build working well to diffuse any vibration and movement while providing the needed support. This 12-inch mattress is touted to be the mattress solution for individuals who are prone to constant back pains. It ranks 7 on our firmness scale and does a good job of finding the midpoint between adequate support and pressure relief. In other words, this mattress has a smaller tendency of sinking while effectively contouring around your body to ease pressure points. While the liberty mattress would often cause discomfort for stomach sleepers, the Revere mattress is tailored to accommodate them adequately. The softest mattress on the Amerisleep lineup, it ranks 3 on our firmness scale and is designed to accommodate the natural curves of the body while keeping the spine perfectly aligned. However, this comes at a cost as we experienced lots of sinkage especially at the edges of this mattress. The colonial mattress attempts to make up for this by having a high level of bounce and responsiveness, though substantiated this does not sufficiently ameliorate the marked tendency to sink. Overall, it’s important to note that this mattress was designed with the needs of a particular set of individuals in view and by every right it delivers to those people who need it. The truly mid-level firmness mattress. Scoring 5 on our firmness scale this mattress does an excellent job of contouring around the sleeper’s body in a hug-like manner. With a thickness of 14 inches, support and stability are not an issue for this mattress. Motion transfer is almost non-existent, and for us here at mattress guides this is probably the best mattress in the Amerisleep brochure. 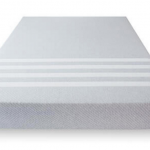 The bounce and responsiveness of this mattress is nothing short of stellar, and it achieves this without mitigating support, a factor that scored massive points with our review team. The top of the range in terms of firmness, this mattress ranks 8 on our firmness scale. In line with Amerisleep’s ambition of providing mattresses for specific consumer groups, this mattress uses a 10-inch memory foam that is guaranteed to support even the heaviest sleepers. For this level of firmness the Americana mattress sacrifices a little bit of the ‘hug’ and contouring ability that is found in other Amerisleep mattresses, nonetheless it still surprisingly delivers a good sleeping experience. As with the others, responsiveness and bounce are top notch. Depending on the model and size of the mattress prices ranges from as little as $750 to whooping sum of $2700. However, in comparison with major competitors like Tempur-Pedic, Amerisleep’s mattresses are lowly priced, whether the disparity in pricing from competitors translates to a reduction in quality is something we have not noticed, our preliminary test strongly indicates top quality manufacturing from Amerisleep. Like most brands, Amerisleep has also adopted the online retail outlet model. Once purchased shipping is done by FedEx and your bed should reach you within 7-15 days. As I earlier stated Amerisleep as a company are in the habit of deviating from industry trends and standards, and following that they are offering a total of 20 years in warranty coverage. Warranty policies from their nearest competitors extend for only ten years, so we were pleased with this move. The number of years the mattress was used divided by twenty multiplied by the purchase price inclusive of shipping costs for the new bed. However, the company notes that the warranty will be rendered null and void if the mattress is used on an incompatible bed or surface, or bears soilage or damage inflicted by the user. Aside from the warranty service, Amerisleep also offers a 100day trial period during which you are entitled to a full refund devoid of shipping and restocking fees if you feel the mattress doesn’t meet your needs. This approach is pretty standard in the mattress industry and is one we like here at Mattress-guide, as it gives the intending user an opportunity to try out a mattress without any commitments. Celliant Technology and Its cooling Capabilities:I mentioned earlier that the company claims that its Celliant infused polyester cover has the ability to transform heat into infrared light which supposedly improves body circulation and a whole lot of other things. Whether this is true remains debatable, but one thing we did notice from our hands on experience is that Amerisleeps’ Celliant based covers did an excellent job of keeping the mattress cool. Given that this is a memory foam and knowing the penchant for memory foams to sleep hot, we were happy that that was not the case. Motion Isolation: Overall the Amerisleep line up does justice to isolating movement and vibrations with the only exception being the Americana mattress that tends to pass very slight vibrations, but even then it still did very well in our motion tests. This feature is important as it ensures that your waking up doesn’t have to wake up your partner (if you have one that is). If you are looking for a mattress built specifically to meet the needs other mattresses promised but haven’t delivered on, then I strongly suggest you take a look at Amerisleep’s brochure because therein you are sure to find that mattress that fits you perfectly. Outstanding cooling capabilities:We know almost every mattress brand promises on keeping it cool when it comes to their memory foams but more often than not they flunk on this pledge. Aside from the Purple mattress, from our experience, no other mattress comes close to keeping it cool like the Amerisleep Lineup. This is probably due to the proprietary Celliant technology incorporated into these mattresses. You have a partner that moves a lot while sleeping:Like I said earlier the motion isolation incorporated in most of Amerisleep’s mattresses is nothing short of stellar. What this means is that if your partner is someone that frequently turns while sleeping it won’t necessarily affect your sleep. Given their longtime existence in the mattress industry, our expectations were set very high for the Amerisleep lineup, and they didn’t fall short of these expectations. While durability seems to be the bane of most mattresses in this age, Amerisleep has shown that the sustained push on improving sleep quality doesn’t necessarily have to affect product life. Emphasising the level of confidence they have on the durability of their product they offer a 20-year warranty service that none of their competitors can match. Providing excellent comfort and quality at a reasonable price, with the option of selecting from a brochure of five mattresses, Amerisleep is the only mattress company we have reviewed so far to offer a truly complete package. Amerisleep’s line of mattresses have managed to pack durability and comfort in an exquisite looking mattress.